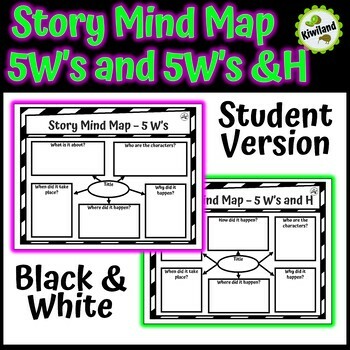 Graphic organizers are a great way to organize your thoughts and your students thoughts for writing or showing their comprehension of a story. 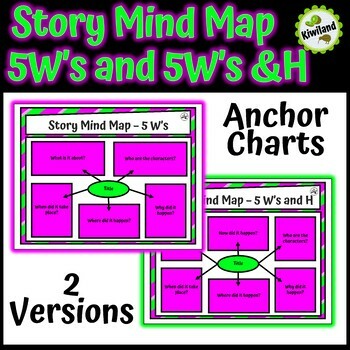 Included in this resource are 2 posters and 2 student sheets (one being 5W's and the other 5W's and H). What, Where, When, Why, Who, and How. 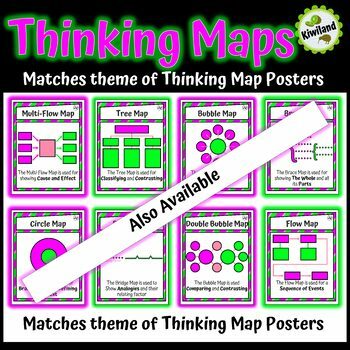 These posters are the perfect reference for your students and make excellent anchor points around the room or on your bulletin board. Combined with the matching student sheets make them easy to use. Simply print each poster in color, laminate for durability. 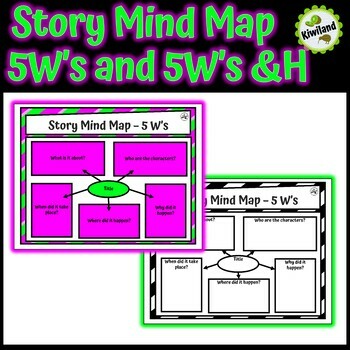 If you like this style of mind maps/thinking maps please take a look at my other graphic organizers. Enjoy and please remember to follow me by clicking the following link to easily find my latest resources and receive discounts.